We’ve been having a lot of sweets around here lately…and I mean a lot. The boy is a chronic snacker with an enviable metabolism and I’m always catching him rummaging through my kitchen for freshly baked sweets. Last week, I baked a batch of these donut muffins for my students, tucked them away in tupperware, went to the bathroom…and emerged again to the sound of a hastily closed plastic lid and smacking lips. The upside of smothering all your baked treats in cinnamon sugar (besides the obvious): you’ll always catch the culprit. And this particular culprit agreed that the donuts were very good indeed. 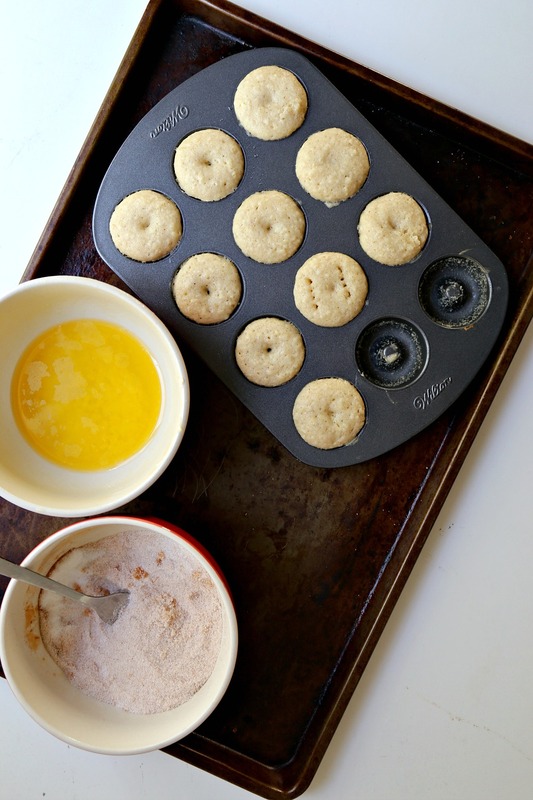 As with all great things, you’ll need to coat the donut muffins in melted butter before proceeding to roll them in a snug, cozy coat of cinnamon sugar goodness. The butter-meets-sugar combo is what gives these breakfast treats extra crunch on the outside, so don’t skip this step! 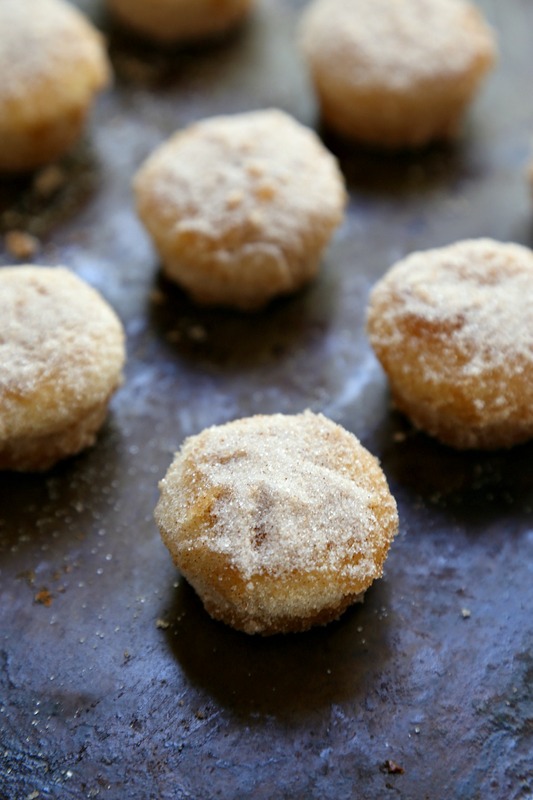 My students, friends, and friends’ coworkers all RAVED about these Mini Churro Donut Muffins, and really–who can blame them? I recommend making a double or even a triple batch. You know, just in case someone in the kitchen happens to eat half of them before they make it out the door. Who’s the biggest sweets snacker in your house? 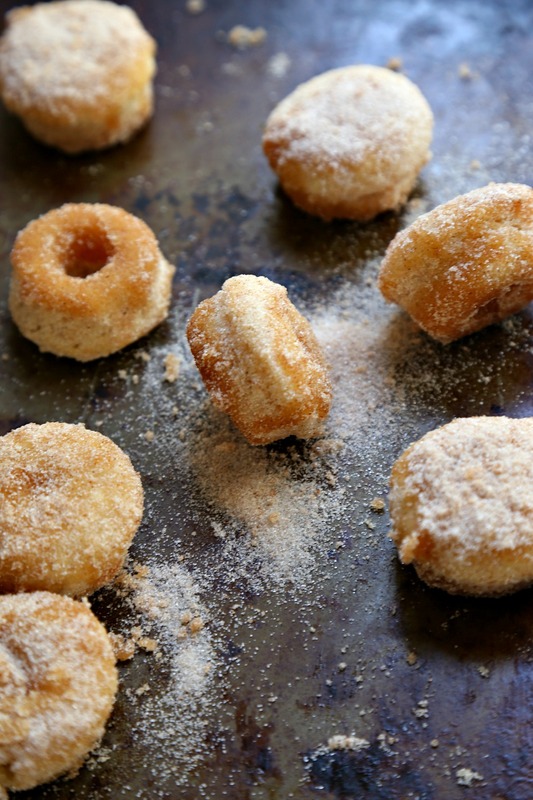 These Mini Churro Donut Muffins are the perfect breakfast treat--or dessert! These tasty morsels are baked, not fried. 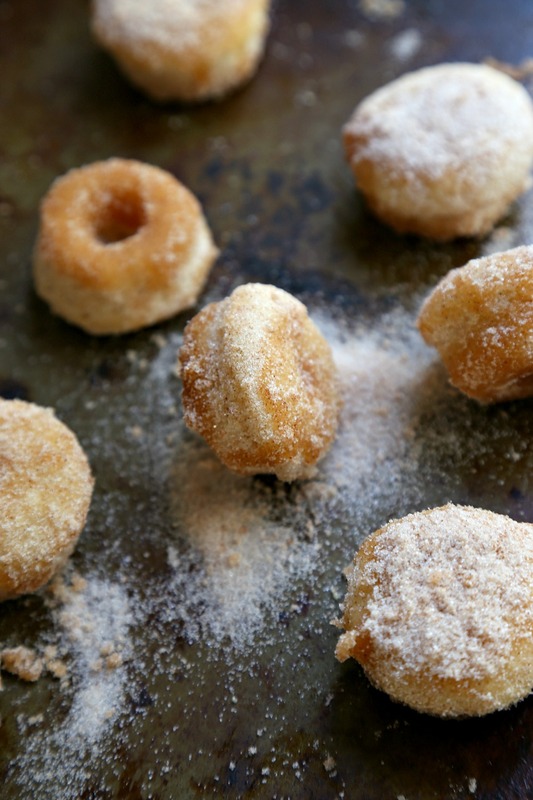 They are also coated with melted butter and cinnamon sugar, giving them a light crunch on the outside and the perfect fluffiness on the inside! Preheat oven to 350 degrees F. Lightly grease a mini donut pan and set aside. In a large mixing bowl, combine sugar, butter, cinnamon, and soy milk (or milk). Add baking powder, flour, and salt. Fold in until just combined. 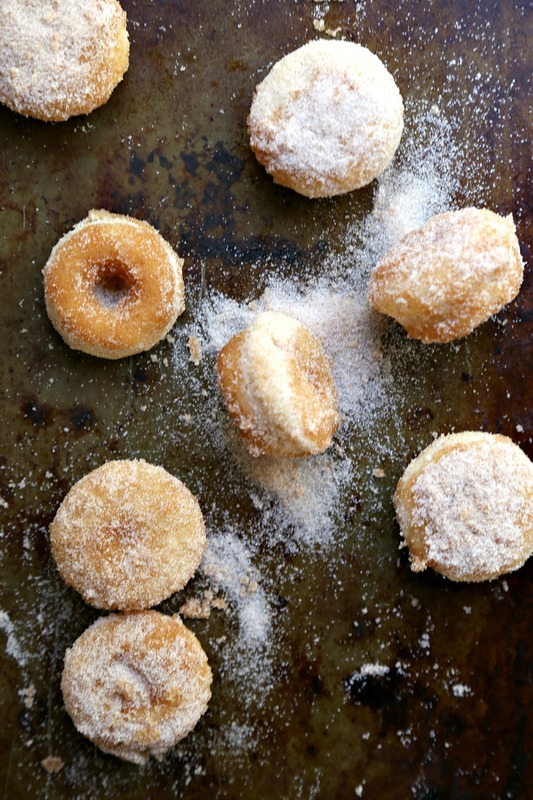 Fill mini donut cavities 3/4 of the way with batter. (You may need to make multiple batches depending on the number of cavities in your pan. Do not overfill.) Bake in preheated oven for 13-16 minutes, or until lightly golden on top. In a medium bowl, combine sugar and cinnamon. 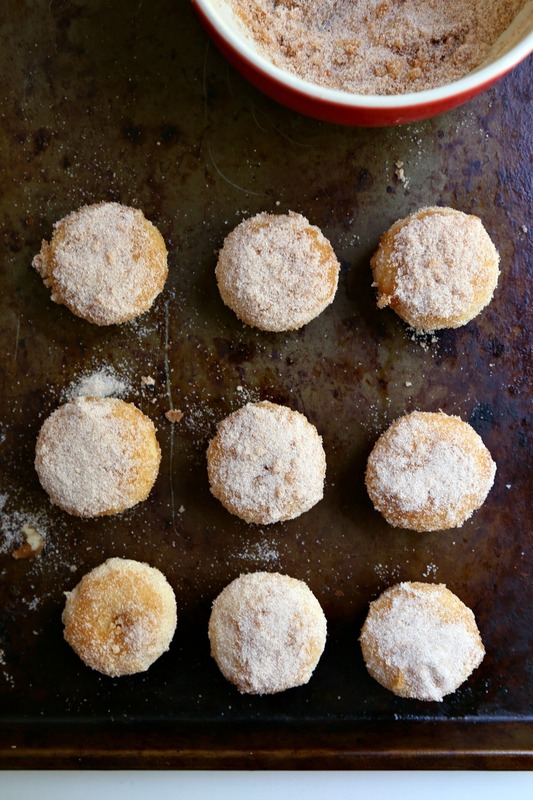 Roll each butter-dipped muffin in cinnamon sugar mixture until generously coated. Will you marry me, Ala?! Seriously girl, you are a freakin baking genius. I heart this taste combo soooooooo much, and love that I am an adult and have full control over what I eat for breakfast, lunch and dinner. Yarm! All right, twist my arm…I’ll say yes 😉 but seriouslyyyy, I popped about 3 of these into my mouth before I could stop myself. Whoops! Definitely looks like a breakfast dish. 🙂 Fun idea — bet the texture is awesome. Know the flavor is, ’cause you made them! The texture is spot-on, John! Your intuitions are right yet again–would love to share a big plate of these with you! What an appetizing treat, Ala! Can’t wait to give it a try!